"I am going to miss the moments I spent with the guys – both in class and in the hallways; the times where you don’t have to worry about being judged or feel the need to show off as a means of impressing others – at Cathedral you can be yourself. I will miss being in a place that encourages your individuality, no matter how flawed you are. I was brought to Cathedral in part because of my family’s history of attendance but also because we knew that being a graduate of this school would provide me the best opportunities for later success both as a professional and human being. Through Cathedral I’ve learned to take every opportunity as it comes, to not let a single moment be lost when productivity can be had; you cannot waste opportunity. I’d like to thank Brother Nick, our President, who during my Sophomore year asked me to address the student body, a task I had never done. Brother’s trust in me to speak, coupled with his belief that my words would resonate with my peers, made me cognizant of the leadership potential within me. To my mother and great aunt who pushed me to attend Cathedral, thank you for encouraging me to maintain exceptional grades when we first explored the possibility of becoming Irishmen nearly four years ago. The scholarship I received to attend La Cate is as much yours as it is mine. Thank you for giving me the gift of brotherhood. Viva La Cate." "My grandfather and uncle attended Cathedral, the first and second in our family to do so, but before graduating they were drafted into wars and their time at Cathedral came to an end. This upcoming May, decades after my family’s history at Cathedral began, our family will finally receive its first Cathedral diploma – a moment that will symbolize the amount of pride my family has in this school. Being able to recognize any student regardless of their year, that’s not something I’ll be able to replicate anywhere else – at least not in the magnitude that I can do so at Cathedral. Looking back on my time here, the fact that I know everyone in my school is something I’ll miss sincerely once I move on. Cathedral leaves me with the lesson of always being prepared and to have strong faith despite any circumstances imposed on you. Cathedral has shown me that with God in your life you can accomplish anything but you also have to help yourself. Nothing will come to you unless you are your number one supporter. I will be most proud of my accomplishments, namely being recognized as a National Hispanic Scholar. I didn’t want to attend Cathedral but my parents, ever prescient, knew this would give me a better chance at a great life. Nearly four years later, with acceptance to six or seven schools already and notable scholarships at each, I doubt any of what I have accomplished would’ve come to fruition had I left Cathedral. I’m glad I stayed the course. It made a difference. During my time here I’ve had numerous people who have gone out of their way to encourage me such as Brother Nick, Chief Barajas, and Mr. Lujan. 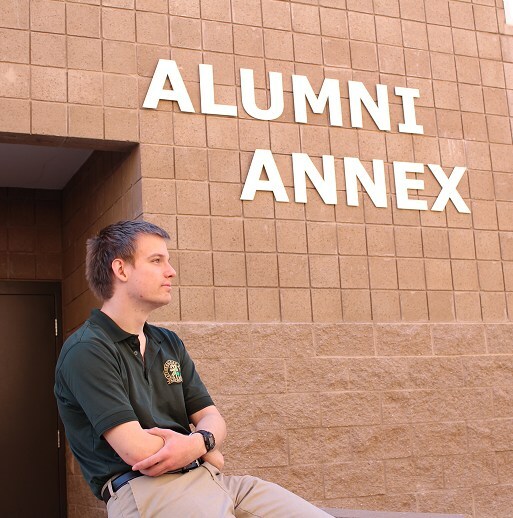 When I first visited Cathedral as a prospective student Brother Nick came up to me and told me I belonged here, that I had something in me synonymous with Cathedral; that moment engendered in me the belief that this place could be mine as well. Chief Barajas, during his time here, constantly reminded me of my aspirations to become a doctor and at the most opportune moments reinforced the notion that my goals were within grasp. Mr. Lujan, my Junior counselor, was always perceptive when it came to my school work and academics and never hesitated to call me into his office and brainstorm with me how I could improve myself and my work. This service of love is the norm not the exception at Cathedral, and while I may have known that the individual attention I received here is uncommon in other places it is now, towards the end, that I look back with great appreciation. To anyone considering Cathedral, if you decide to become part of our brotherhood dedicate yourself to this school. Cathedral will prepare you for college but most importantly for life. What I’ve learned here I’ll take with me forever. La Cate was the best experience I could have asked for. If you invest in Cathedral, it will give you the same." 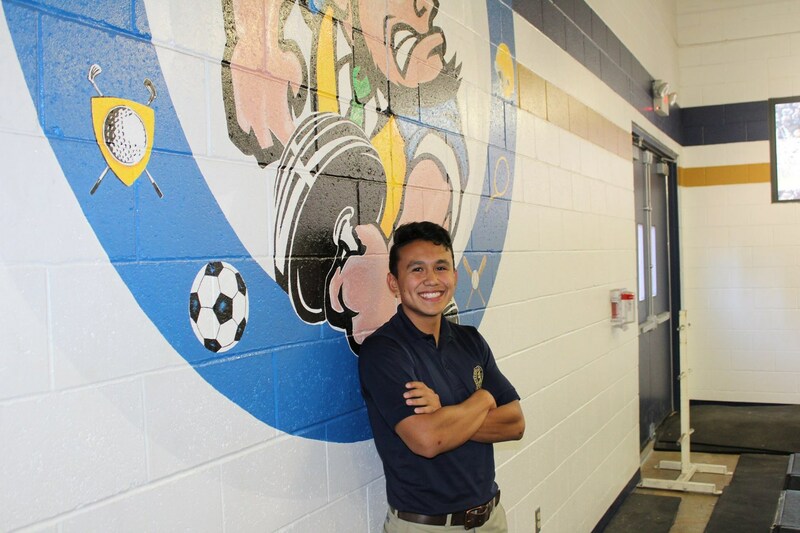 "Graduating from Cathedral will mean that I had competed and held my own against some of the brightest minds in El Paso. I am privileged to have been in parochial school throughout the duration of my education; when it came time to decide on a high school my parents were adamant in prioritizing religious formation and placing me in an environment where the people tasked with educating me would know me beyond my grades. Cathedral provided my family and me with an atmosphere where people knew my name, my interests, goals etc. It was evident that at Cathedral I mattered. At Cathedral, diligence in one’s studies, being academically excellent, and at the top of the class aka “Top Dawg”, is respected by every student. It’s cool to be intelligent at Cathedral and what everyone hopes to be recognized as. 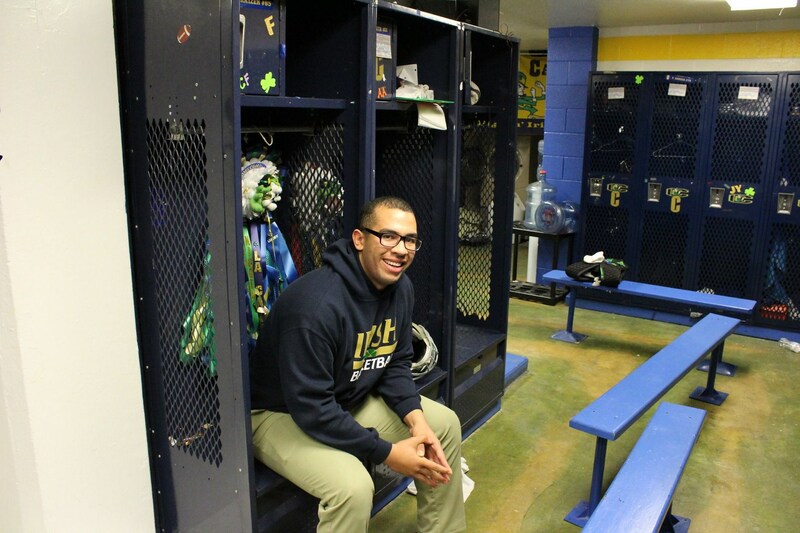 But in addition to the reverence for academic success Cathedral instills in its students the importance of being a good man and to trust in God’s plan – everything will eventually play out. My mother and father pushed me to attend Cathedral and despite my not wanting to attend Cathedral throughout the entirety of my Freshman year, my parents stayed the course because they knew this school was the right place for me. 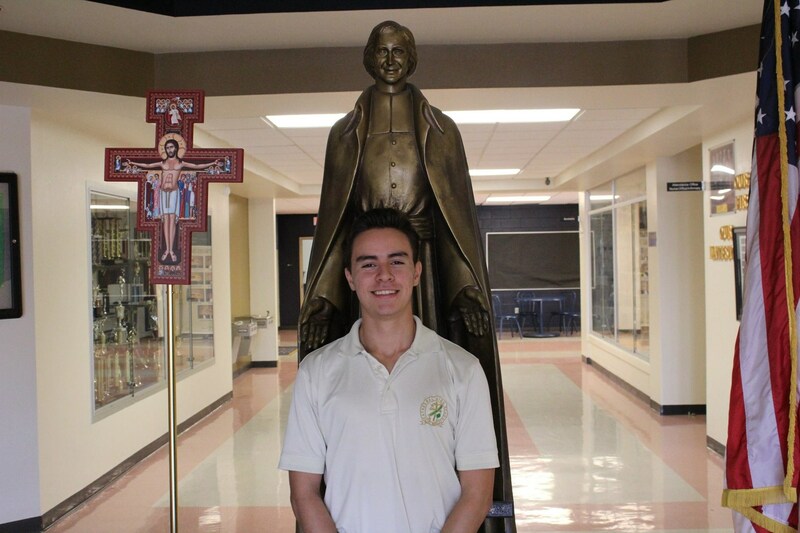 Now, in my Senior year, I cannot picture myself at a different school and am proud that come May I will be able to call myself a Cathedral graduate." "I had a coach in middle school who knew of Cathedral, he knew it wasn’t just about sports which was important to my mom as a Principal. They both knew I had to go to a school where education was the top priority; I’m in a place where academics are a priority and thanks to Coach Harper my development as a basketball player has also become just as important in terms of work ethic and responsibility. I was sent here to be more competitive academically and graduating from Cathedral will signify that I’m a more well-rounded man than I was when I first got here. The day I came to register at Cathedral, Mr. Vazquez, our Director of Admissions, reviewed my academics and showed faith in me as a student. He didn’t see me as just a basketball player; he saw capabilities in me beyond my athletic abilities, it was good to have someone who saw that in me. He’s always been there." 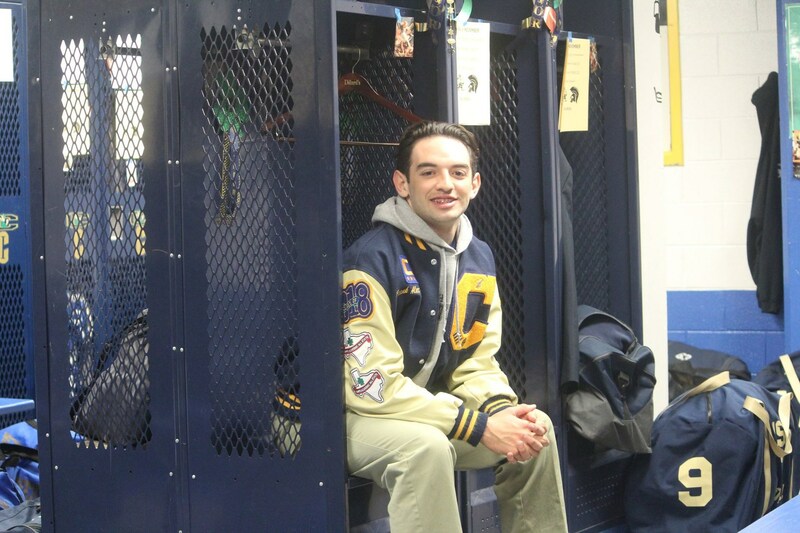 "I am the first Cathedral student in my family, I will certainly not be the last. I feel deeply connected to this school and thank my parents for giving me the chance to be part of it and am happy they see how much I've grown. One day when I have sons they will be Cathedral Irish as well, there's nothing that would make me happier. I wake up at 5:30 A.M. every morning so my parents can drop me off at the Santa Fe Bridge. I pay my four pesos and walk the bridge each day before making my way up to Cathedral on foot, unless I’m running late, in those cases I ask my aunt and uncle for a ride but I try not to since they work in the mornings. Most people tell me I go through a hassle just to come to school but I have never considered waiting 30-45 minutes to cross the bridge or walking to Cathedral a hassle. When you leave school for the day, most people are glad because they’re going back home but in my case I feel that I’m going home when I’m on my way to Cathedral. When I’m here I feel like I am in a place where I belong. 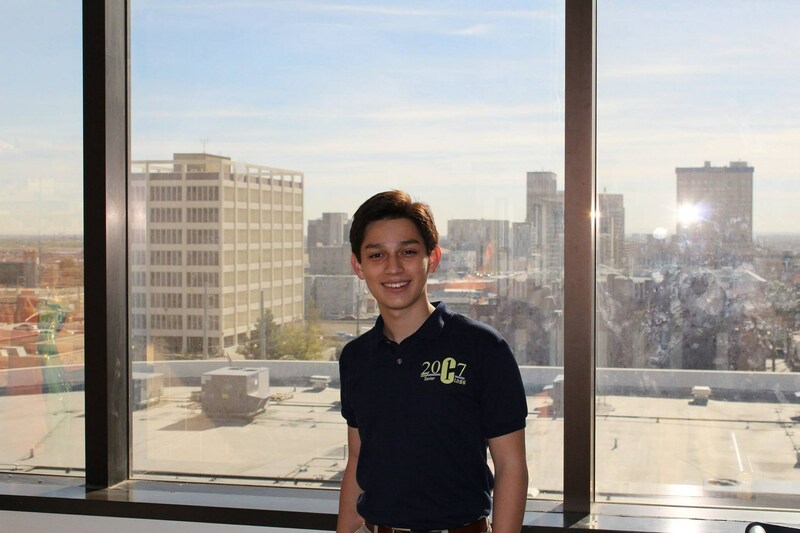 If I have to consider waking up early, crossing the bridge on foot, and walking to school a hassle then Cathedral is a hassle I’m more than happy to have." "My father passed away when I was two, it’s been my mother and me ever since. During my Junior year we moved out of our home into an apartment in order to make the tuition payments; neither of us wanted to leave Cathedral. The sacrifice paid off and now I have a scholarship that will ensure I graduate an Irishman. There were difficult times but being part of the Cathedral brotherhood has made every sacrifice worthwhile. I am and will be most proud of the accomplishments that my brothers have received and will continue to earn. Seeing what my classmates are doing and foreseeing what they will do- attending the country’s best schools, playing Division 1 Football, or attending service academies like I and others intend to do.It is an honor to be called their classmate and know that I sat in the presence of people who will do real good in the world." 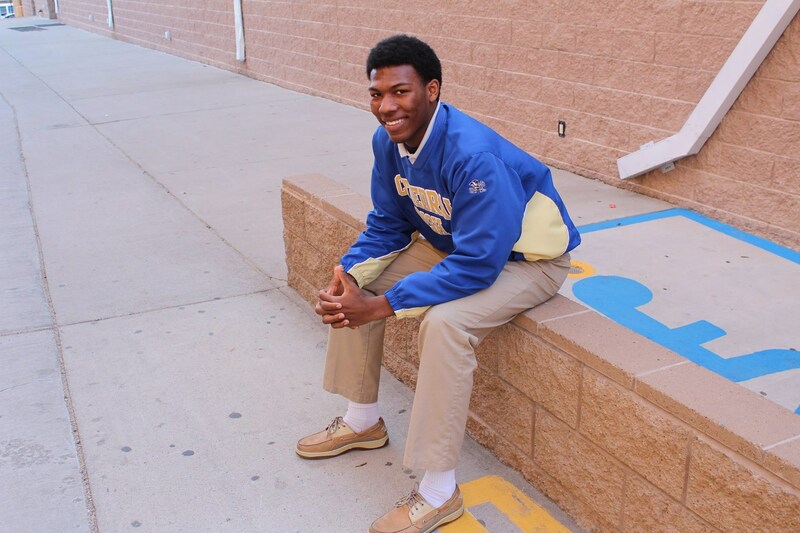 "I came to Cathedral as a sophomore; I wanted an experience unlike from what I had been exposed to in middle school. I thought going to a school with a different environment would be better for me. It wasn’t, but I didn’t recognize that until I came to Cathedral. The teachers, staff, and my friends at Cathedral pushed me to be better than I was, than I thought I could be. I never believed in myself and through the belief others placed in me I finally saw that I too was capable of accomplishing my goals. I want to thank Coach Harper for helping me, not only in basketball, but off the court as well. Earlier this year, my mother was struggling to pay tuition; I knew it necessary to get a job and sacrifice basketball so I could help pay my cost of school as well as my brother’s. 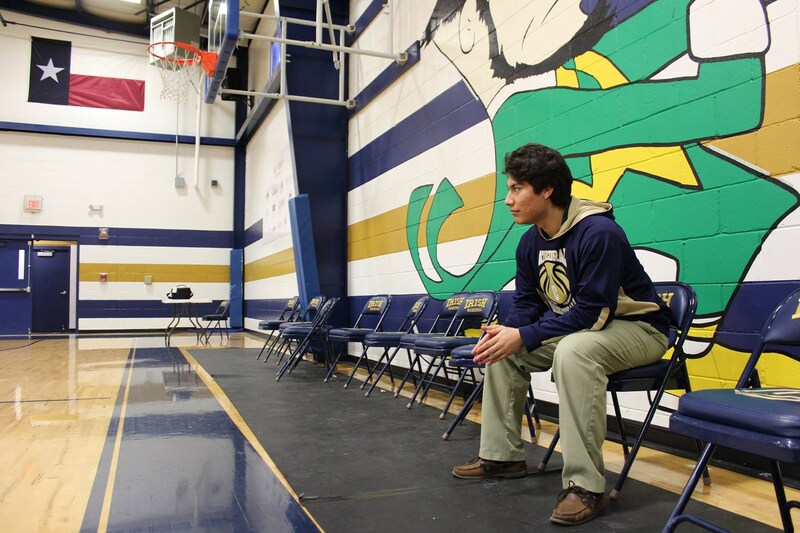 On the day I decided to quit basketball Coach Harper told me not to worry, that he was going to help. Days later I rejoined the basketball team and secured a weekend job that allowed me to stay on the team. Coach Harper is tough on his players but him going out of his way to encourage, talk with, and help me has been the highlight of a year that has, in many ways, been difficult. It meant a lot to know he wanted me to play for him." 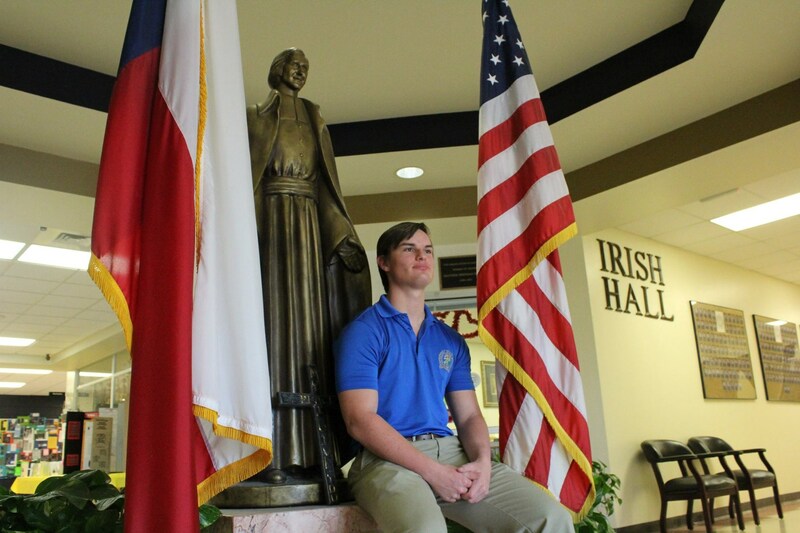 "I’ll be most proud of finally being named a Cathedral graduate. It’s a proud title to have, a respected one, and I’m glad I get to be part of that legacy forever. All my life people told me I wouldn’t be able to accomplish my goals and that I wouldn’t amount to anything but Cathedral gave me hope and believed in me at a time when I was accustomed to hearing the opposite. I never thought I’d be named a National Hispanic Scholar, obtain a full scholarship to Arizona State University, or go to college at all because of its cost but because of Cathedral I will be a first generation college student without having to cost my family a single dime of tuition. Cathedral saw past the negative experiences and doubt that surrounded me. I lacked self-belief entering Cathedral but people here only saw the good and potential in me and my classmates; that unwavering belief that the staff, faculty, and administration placed in me, in us, made me work harder. Cathedral wanted me to succeed and as a result it made me want to succeed as well. " "El Paso is my hometown but both of my siblings graduated from high schools outside of the U.S. Thus, I will be not only the first Cathedral graduate in my family but also the first to graduate from an American high school. I will be most proud of the academic and athletic merits I’ve earned: being a member and officer of various honor societies at Cathedral and captaining the Cathedral Irish soccer team. When you first hear about Cathedral you inevitably get told about the great students who have come through and received scholarships and acceptances to the schools of their choice. I never thought I’d be in that position and now that I have multiple academic and athletic offers I want to say thank you; there is something about the attitude and personality that every Cathedral man has and I am proud of the man that Cathedral has molded me into. 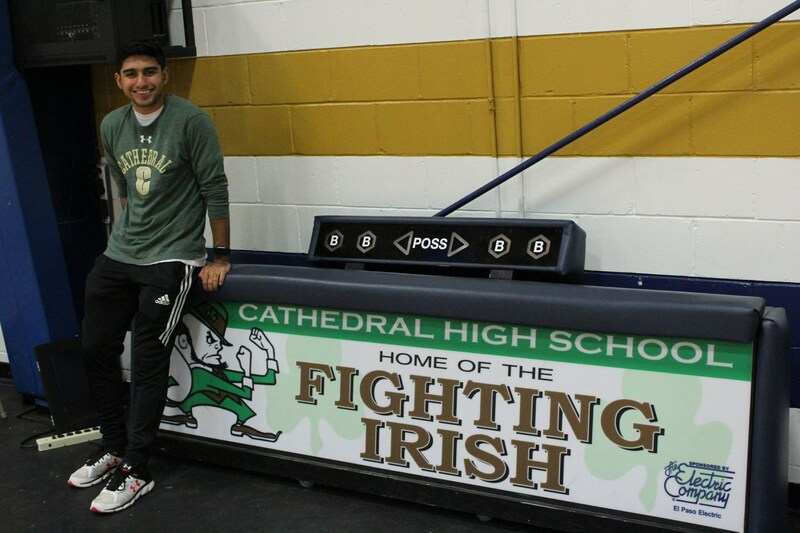 I’d like to thank Brother Nick for supporting me during my time at Cathedral. Brother has always been consistent in his belief towards me but I first became truly cognizant during National Honor Society inductions. Despite many inductees alongside me, Brother Nick approached me and playfully remarked “Is there any honor society you didn’t get into?” That small moment of individual recognition meant a lot to me. When it comes to Brother Nick, it’s the little things he does whether it be greeting you every morning, thanking you for representing the school well, or telling you that Cathedral doesn’t deserve you but is grateful you’re here. He always tries to make us better than we are and remind us that we matter. " "I’m most proud of the relationships I’ve built with students, classmates, teachers, staff, and everyone involved in the school. I’ve made some great friends and it’s true when people tell you that Cathedral is a brotherhood. I feel that in a lot of places you don’t have the opportunity to build such close relationships with staff, faculty and students, but I was fortunate enough to be in a place that encouraged developing connections with others and I’ll always take that with me even after I leave Cathedral. I’d like to thank my Freshman World History teacher Ms. West for supporting me throughout the years even when I was no longer her student. She believed in me from the very beginning of Freshman year, she was nice to me, to everyone, and it was good to have that encouragement as a Freshman. When you go into a new situation not knowing a lot of people it can be hard to feel like you belong or will find your way and Ms. West helped me know that Cathedral was home for me too. I’d like to thank her for believing in me even when sometimes I might have not believed in myself."